Joli Vyann workshops are fun and educational. 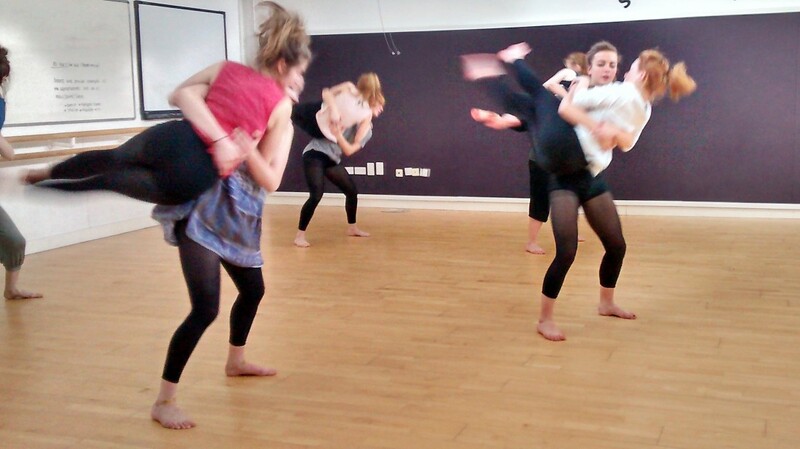 Each workshop is tailored to the participants, and include a variety of activities covering contemporary dance, contact dance and partner acrobatics. Joli Vyann have created a unique choreographic blend of hand to hand and contemporary dance, inspired by the dance and circus worlds. The themes of their shows are always thought provoking and topical, including immigration, relationships, British binge drinking culture and our daily obsession with communication technology. Their workshops give an insight into their athletic style of dance and how they devise they work, to turn dance into a story. This workshop would be of particular interest to dancers of all abilities and students. Please wear loose clothing and bring a bottle of water and a snack.